We stock a beautiful wide range of Victorian Baths. Victorian Baths add that touch of classic styling. 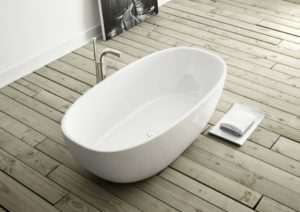 Add that touch of class to your bathroom with beautifully crafted durable Victorian baths – aesthetically pleasing and suited to a variety of bathroom settings, these old time baths are inspired by a by-gone era, and brought to life in modern bathrooms and modern materials to make them hard-wearing and durable. We at Victorian Side Bathrooms ensure that your every question is met with friendly expert advice, we”ll assist you with every step in your purchase of one of our Victorian Baths, online casino from planning right through to fitment. We stock all the accompanying Victorian bathroom accessories too, such as victorian brass showers, antique taps, brass taps, victorian basins, victorian toilets and more, even smaller accessories like towel rails, toilet roll holders and more. Victorian Albert volcanic limestone baths, Vado, Cheshire baths, Drayton, Ella baths, Monaco baths, Shropshire, York, we stock a wide range of victorian baths in many styles, most are hand-finished by expert craftsmen and created using only the very best materials and modern technology, and the best part is, we”re experts in this field, we have years of experience in helping you choose the right fittings and accessories. We”ll ensure that you order all the correct plumbing too, and we make a range of custom victorian pipeworks too – gorgeous exposed victorian pipeworks add that touch of old time classic styling to any bathroom! Find us on Facebook and stay in the loop, we”re always ready to assist you with any questions you may have regarding Victorian baths – planning, technical aspects, decor and styling of any Victorian Bathroom projects – we”re here to help you!